If you are looking for a lovely day of touring the enormous vineyards of Nevada than look no further. Our in-depth guide to the best wineries in Nevada will give you a guaranteed fun day trip. You'll spend the day touring the vineyard, sampling wine, seeing the process of how it is made. The perfect balance of an educational and enjoyable trip! This Winery is Open 7 Days a Week! If you are looking for a fun day trip just an hour outside of Las Vegas, than head on down Highway 160 West to Pahrump Valley Winery. 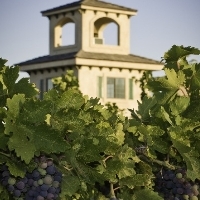 Pahrump offers free daily tours at 11:30, 1:30, and 3:30 pm where they explain the history of winery, on overview on how they make wine, and the detail behind growing grapes in Nevada. Pahrump Valley Winery also offers a delicious restaurant on the grounds open from 11:30 - 3:00 pm for lunch, and 5:00 - 8:30 for dinner. Pahrump has been around for over 20 years now and offers a unique variety of reds and red blends. They also have an annual event called Grape Stomp. You can sign up for this event on their website. This festival offers wine tasting, live music, food, and of course, grape stomping! So head on over to Pahrump Valley Winery for a day of fun events! The Tahoe ridge winery is a picturesque place near the Sierra Nevada Mountain. When you come to this winery you will be given the opportunity to taste wines produced by award winning winemakers. Take a tour of the vineyard, enter the tasting room, shop, eat and enjoy a wonderful day. The goal of this winery is to produce and serve quality wines to all of their customers. Visit their website to see what events are being held during your next visit. 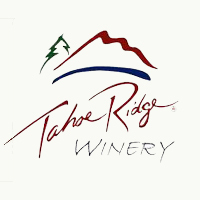 The Tahoe Ridge Winery will provide you with an unforgettable experience! 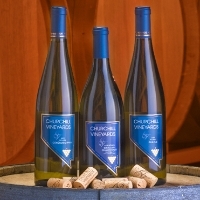 Churchill Vineyards was established in 2001, located on one of the oldest farms in Nevada. This winery is the perfect getaway for wine tasting especially the popular Gewurztraminer and pinot gris in NV. Their mission is to create a new viticulture industry by conserving Nevada’s water resource in the hope for a better nature environment for wildlife and sustaining the agriculture industry. The finest distilled spirits, such as Vodka, Nevada Brandy, and Nevada Single Malt Whiskey will soon be made available for customers. The vineyard is open for tourists by appointment only. 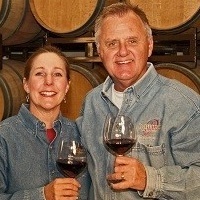 The Sanders Family has been growing grapes for over three decades, bringing exceptional award winning wines. Their precise cellaring techniques have produced smooth and palatable wines. Besides wine tasting, there are other events like a live art performance in the Amphitheater. Special private parties like wine country weddings can also be celebrated here. This Nevada winery is open 7 days a week from 10 pm to 5 pm, the wine tasting is free for everyone. With warm hospitality, everyone is welcome to enjoy and stay at this magnificent place. Your one-stop shop of the finest wines from the most popular winery around the world is here at Nevada! 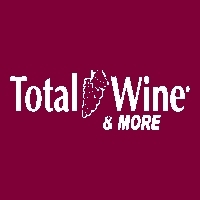 Total Wine & More sells the finest wines, beer and spirits in the Nevada area. They have popular wines like Pinot Noir, Cabernet Sauvignon, Bordeaux Blend and many more! Total Wine & More wants these finest wines available and accessible to all consumers. They have three branches here in Nevada, in Las Vegas, Henderson and Reno. They also offer Wine Classes that will teach you the basics in tasting of wine. Talking about tastings of wine, they also have a free weekly wine tastings. They have different themes every week that will help you learn more about the varieties of wine. Enjoy good quality wine together with your friends here at Rock N Roll Wine! Looking for a place to hang out with your friends? Enjoy spending time with your friends here at Rock N Roll Wine. They have two events that you can have fun with, they have a wine tasting event and a part concert event. They have the best live music and finest wine all in one place. They also cater private events for wine enthusiasts with wine and music parties that you will surely enjoy. Rock N Roll Wine has two different wines available in a pack, they sell The Grotto Red Wine and Rhapsody White Wine. 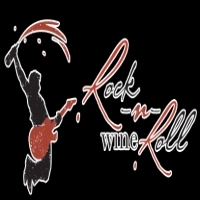 Other than the wines, they also have available merchandise like Rock Out With Your Cork Out T-Shirt, Rock N Roll Wine Custom Riedel Glasses and Rock N Roll Wine Women’s T-Shirt. Looking for a store that sells the finest wines here in Nevada? Find your favorite wine here at Las Vegas Wine Company! If you are looking for the best quality wine that you want to have for a dinner celebration, Las Vegas Wine Company has the finest wines. They sell different varieties of wines, beers and spirits from suppliers around the world. They also have wine baskets that you can purchase, you give it to your friends and family as a token, as a gift for a wedding, birthday or any special event. They also have wine tastings every Thursday from six to eight in the evening. 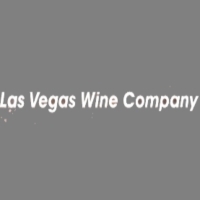 Las Vegas Wine Company has two stores in Las Vegas located in West Tropicana Avenue and Las Vegas Boulevard South. Are you looking for a restaurant with a good meal with a high quality wine? Visit Marche Bucchus for a fine dining experience! 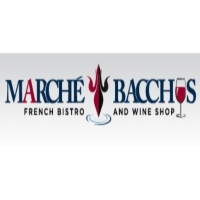 Marche Bucchus has always been a popular place to dine in here in Nevada. With the satisfying meal that they are serving from a skilled and passionate chef, they complement their guests with a taste of a high quality wine. They also have live entertainment in their restaurant that entertains all the guests with vocal and instrumental music. They also cater your needs for a private event, like a birthday party, a wedding, a bachelorette party, a corporate event or any special events. Enjoy a wine tasting event here at Rio Las Vegas! 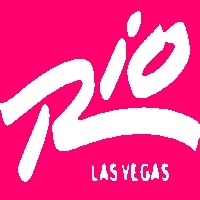 Rio Las Vegas is known for the different kinds of entertainment that they have. They have a wine cellar with wine tasting events in their location in Flamingo Road. You can enjoy delicious food in their restaurant together with their high quality wines from their wine cellar. You and your friends or colleagues will have a great time at their wine tasting event. They also have other events and entertainment like live vocals and music, live comedy show and casino. They also offer different services like beauty salon, beauty spa and tattoo shop. 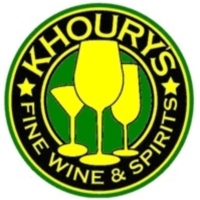 Khoury’s Fine Wine and Spirits offers a variety of the finest wines and also offers beers and spirits that you can enjoy together with your friends. They have a lounge where you can hang out with wine tasting events. They are open every Sunday from 12 noon to 6pm, every Monday and Tuesday from 10am-8pm and every Wednesday to Saturday from 10am to 10pm. If you cannot find a specific wine brand, Khoury’s Fine Wine and Spirits will find it for you. Just give them a call or send them an email for your inquiries and requests. Are you a wine lover? Join the other wine enthusiasts here at Bella Fiore Wines! Have a great time with other wine enthusiasts here at Bella Fiore Wines. It offers a wide variety of the finest wines, has a daily wine tasting event, full bar and live music events. Bella Fiore Wines also has deals for the week which wine lovers will surely enjoy. Want to throw a private party with wine tasting? 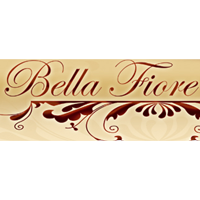 Book Bella Fiore Wines. They also setup private parties for any occasion, whether if it is for a wedding, a birthday party or a corporate event, just give them a call and the details and the staff will do all the work. Enjoy the taste of the finest and high quality wines from Aloha Discount Wine and Liquors! 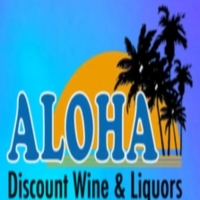 Aloha Discount Wine and Liquors sells wide varieties of wines from the most popular vineyards around the world. Other than wines, they also have liquors, like beers and spirits. If you are planning to throw a party, consider buying your drinks in here! The staffs of Aloha Discount Wine and Liquors are very knowledgeable with these kinds of liquors and very approachable as well. So if you are not looking for any particular, you can ask them and they will give offer you the best liquor suitable for your occasion. 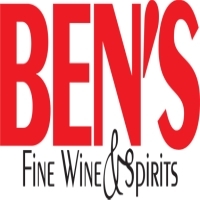 If you are looking for a wine store that sells high quality wines, visit Ben’s Fine Wine and Spirits! There is a wide variety of wines that Ben’s Fine Wine and Spirits has. They have a wine cellar stored in the right atmosphere to maintain the quality of the wine. Other than wines from all over the world, they also sell spirits and beer. Every month they have wine, spirits and beer specials. And a wine tasting event every week at selected branches of Ben’s. Cannot find what you are looking for? Request that particular brand at Ben's that you need and they will find it for you! 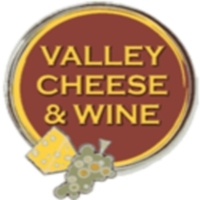 Visit Valley Cheese and Wine and browse a wide variety of cheese and wines here in Henderson! Valley Cheese and Wine offers a wide variety of American Cheese, Italian Cheese, French Cheese and Spanish Cheese. There are many types of cheese, more than you can imagine. They also have more than 1,000 wines of different brands from all over the world. Not only do they offer cheese and wines, they also have chacuterie, which includes all prepared meat products. Do you love wine tasting events? Valley Cheese and Wine has free wine tasting events every Friday from 4pm-7pm. Join the wine enthusiasts in the city now!